Drs. 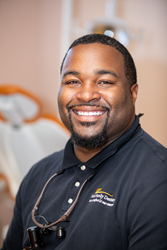 Jonathan Nash and Kenneth Nash are inviting people who have a gummy smile to consider the value and comfort of getting a rapid and gentle laser gingivectomy in Vicksburg, MS, at their leading-edge practice. Drs. Nash have built their careers around staying at the advanced edge of new treatments, including using lasers during their protocols whenever possible. Drs. Jonathan Nash and Kenneth Nash, of Nash Family Dentistry, are encouraging anyone with a gummy smile or teeth that look elongated to discover the newest leading-edge ways to permanently reverse this issue with minimal recovery time or discomfort. Specifically, Drs. Nash regularly recommend that such patients consider the value of a laser gingivectomy in Vicksburg, MS. While having a gummy smile is typically considered a cosmetic issue due to the uneven quality of the gum line, as well as the way the gums make teeth appear, excessive gingiva can contribute to oral and systemic health problems as well. A large issue among those with a gummy smile is being unable to properly care for the mouth, or to rid the deep periodontal pockets of gum disease-causing bacteria. In fact, lasers have become a common treatment choice among dentists who help patients treat and manage their gum disease. In most cases, the answer to resolving a gummy smile in teens and adults with the condition is via an effective gingivectomy, or soft tissue recontouring. Drs. Nash have built their careers around staying at the advanced edge of new treatments, including using lasers during their protocols whenever possible. Laser gingivectomies help patients enjoy the benefits of the procedure immediately afterward without requiring cutting or suturing. A laser gingivectomy uses the power of heat to remove unwanted soft tissues from in and around the teeth. As Drs. Nash carefully apply their laser tools, they can precisely recontour the existing gum line. This leads to a more natural appearance and gives the teeth a balanced look. After a laser gingivectomy in Vicksburg, MS, most patients report a fast recovery and enjoy immediately noticeable results. Individuals with a gummy smile or elongated teeth who would like a gingivectomy consultation at Nash Family Dentistry can call 601-634-1812. For more information on laser gingivectomies, visit http://www.vicksburgdentist.com.